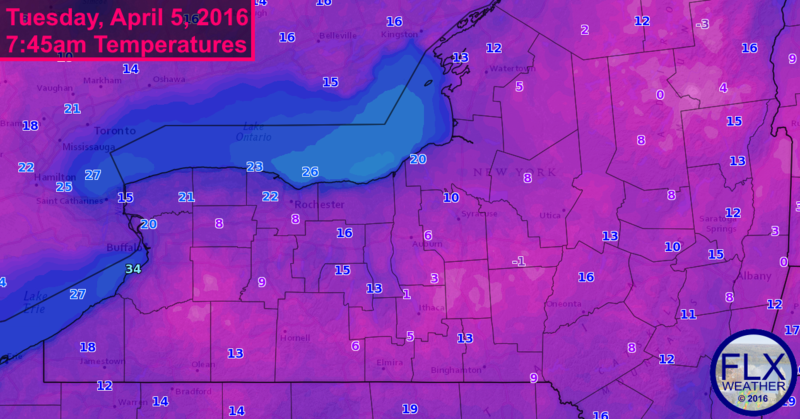 Temperatures dropped into the teens and single digits for most of the Finger Lakes overnight, setting daily and monthly records. Clear skies, calm winds and the fresh snow cover resulted in frigid temperatures overnight, with many places in the mid and lower single digits this morning. 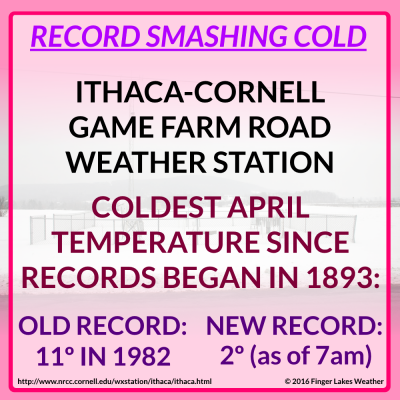 The Cornell Weather Station smashed its record for coldest April temperature by nearly 10 degrees. Data here goes back to 1893. 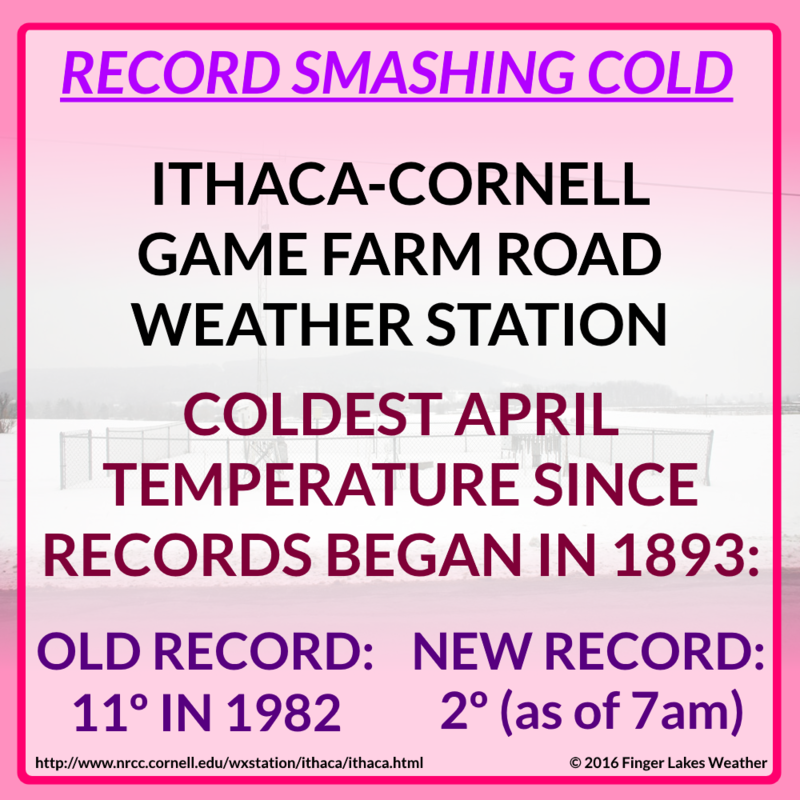 The weather station on Cornell’s campus smashed its record for coldest April temperature since records began in 1893 with a low of 2º. The old record was 11º, set in 1982. Sunny skies today will warm temperatures quickly this morning, but for April, it will remain very cold with highs struggling to reach 30 today. Temperatures will quickly drop again this evening, but some clouds after midnight may help halt the free falling temperature, but not before more temperatures in the teens and single digits. Wednesday will turn out cloudy with a slim chance for a stray rain shower and highs in the low 40s. There will be a better chance for some rain Wednesday night into Thursday, but it does not look like a widespread, significant rain event will occur in our area. Instead, the rain will be showery and periodic, with plenty of dry time between showers. Some rain and snow showers will be possible on Friday as well, followed by flurries on Saturday. Temperatures will try to rebound back towards normal next week.